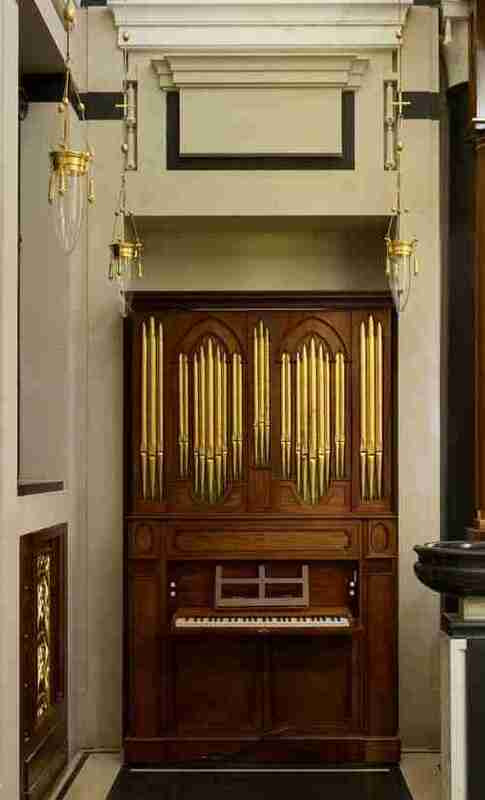 This G P England organ of 1806 was purchased by Noel Mander in 1967 and resided in his music room until he retired. It was then fully restored in our works in 2011 during a quiet period, in the hope that a home would be found for it eventually. This occurred in 2017, when it was installed in a newly built private chapel. Accommodating the electric blower, which Noel Mander had introduced became an almost insuperable problem, so before the organ was delivered, foot blowing in the exact style of the original was re-instated and the electric blower was removed. This work was done after the restoration, so is not mentioned in the restoration report.